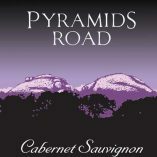 I have found Cabernet on the Granite Belt to be hit and miss. While some winemakers suggest it is their best performer, others don't seem to quite nail it. Warren Smith plies his trade without fuss and produces reliable wines. Of his 15 tonne production, I feel this Cabernet is the best wine in his range at the moment. After twelve months in oak, three barrels were blended producing herbal and blackberry nuances with a good lick of sweet fruit. Varietal in every form, mulberries steal the limelight flanked by soft spices. Chalky tannins seal the deal urging another sip. Great stuff. Time in the bottle will further enhance drinking pleasure and it will cellar beyond a decade.